This article talks about justice, suffering, theology, grace, reconciliation, religion, relationship, christology, discipleship. April 9th marks the anniversary of the death of the German born theologian Dietrich Bonhoeffer. Here we remember some of his theological legacy. Central to the theologian Dietrich Bonhoeffer's theology is that through Jesus Christ, God, and the world that He created are reconciled. Bonhoeffer preached about a God who is a suffering God, and because of this suffering can fully sympathise with the sufferings of His creation. He believed that the Incarnation of God in flesh (that is Christ) made it unacceptable to speak of God and the world "in terms of two spheres". Bonhoeffer stated that because of this, Christians should not retreat from the world but act within it. Dietrich Bonhoeffer ascertained that there are two elements that form the markings of Christian faith: the implementation of justice and the acceptance of divine suffering. Putting this faith into practice meant that the church as a corporate entity, like the Christians, "had to share in the sufferings of God at the hands of a godless world" if it were to be a true church of Christ. 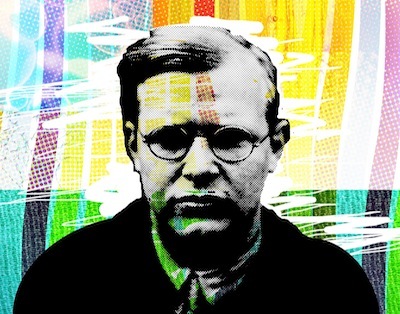 Incredibly prophetically, some might say, Bonhoeffer raised questions about the role of Christianity and the church in a "world come of age", where human beings no longer need a metaphysical God as a stop-gap to human limitations. Dietrich declared that there would be an emergence of a "religionless Christianity". The out-workings of this theology can be seen today in an ever increasing reality. Furthermore, influenced by his mentor, the theologian Karl Barth's distinction between faith and religion, Bonhoeffer maintained a critical view of established religion, asserting that true revelation should abolish religion. He used this view as the springboard from which to preach for Christians and churches to seek a renewal of their faith. Perhaps the most notable of his theological works is ‘The Cost of Discipleship’ in which Bonhoeffer states that "Cheap grace is the mortal enemy of our church. Our struggle today is for costly grace." At the center of this work is an exposition of the sermon on the mount from Matthew chapter 5. Dietrich Bonhoeffer lived a life of integrity, and it was the same cost of discipleship that he preached that cost him his life at the hands of the Nazi regime. He was a man of great intellect and spirituality, but he was also approachable; a pastor and friend, a man who lived out what he preached. Bonhoeffer’s influence has spanned the last century and the world, providing inspiration for figures such as Martin Luther King Jr and Archbishop Desmond Tutu.